Organs of the college include Ministry of Education, Science, and Technology (MOEST), College Advisory Board, College Management and Administration, departments, units, offices, Students’ Government Office, and various committees such as Production committee, Academic committee, Hygiene and environment committee, Committee of culture, Games, and Sports, Social welfare committee, House Committee, Purchase committee, Defense and security committee, and discipline. MOEST supervises all educational activities and rights of all workers in the teachers’ colleges. For more information, click here. The college Administration mainly supervises the effective implementation of educational teachers’ curriculum; plans, coordinates, develops, and controls physical and human resources of the college; improves teaching/learning process; urges, facilitates, and measures outputs of tutors who are the main implementers of the educational curriculum; as well as motivates and assists its staff members so that they can implement their responsibilities effectively. The college principal is the representative of the MOEST in the college and the main supervisor of all management and administrative activities in the college, primary, and secondary practicing schools. The college principal is the appointee of the MOEST Permanent Secretary. 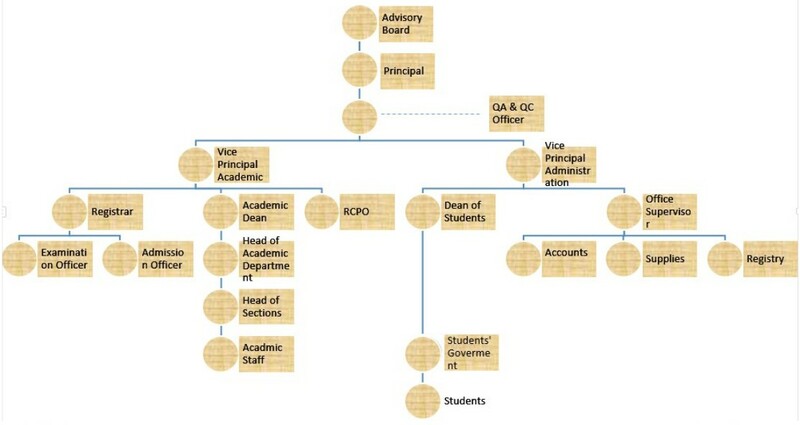 The college principal is assisted by leaders of different levels such quality assurance and control officer, vice principal (administration), vice principal (academics), college registrar, dean of students, academic dean, examinations officer, admissions officer, head of teacher education department, head of research, consultancy, and publications unit, college matron, production/project coordinator, social welfare coordinator, culture coordinator, estate manager, counselor, heads of sections, teaching staff, office supervisor/accountant, supply officer, dormitory guardians, class/group guardians, nonteaching staff members, various workers and students’ committees, student government, and students.